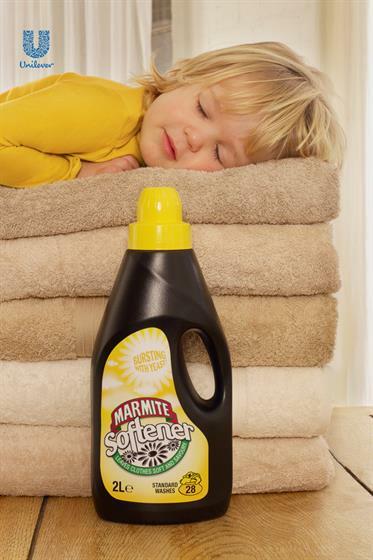 LONDON - Marmite is preparing to launch a new print and poster advertising campaign featuring all the brands most controversial product ideas, including a fabric softener, a shower gel and a perfume. Created by DDB UK the ads break on 1 March. It introduces the spoof products with mocked-up pack shots, accompanied by the text "have we gone too far?". Ater grabbing the public's attention, a second series of ads will be rolled out that go on to admit that while the brand is not planning to launch any of these soon, it is launching a new Marmite Cereal Bar, the world's first savoury cereal bar. The ads encourage consumers to try the new bar and then log on to a specially created Facebook page to report whether they "love it or hate it". Activity will be supported by direct marketing and sales promotions, created by Iris, which will include a number of spoof Marmite toothpaste packs, which inside will actually include a sample of the cereal bar, along with two discount coupons,one for a Marmite cereal bar and the other for a tube of toothpaste. Consumers can choose which coupon to use depending on whether they love or hate the product. Samples will also be handed out at selected London Underground stations and commuters will be filmed inside special Marmite booths tasting the Marmite Cereal Bars with the best ‘love’ and ‘hate’ reactions displayed on digital screens in the station. 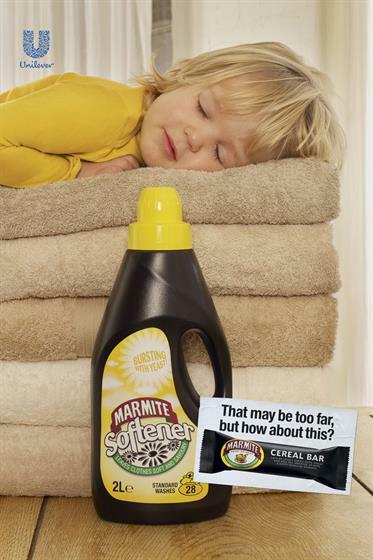 Tom Denyard, Marmite marketing director at Unilever UK, said: "The question at the heart of this campaign is an invitation to both our lovers and haters to give Marmite cereal bars a try and let fly with their views."